The MEINL Hi-Hat Tambourine is a new effect that fits on any standard hi-hat rod. It can be set up to complement hi-hat cymbals or can be played on its own. 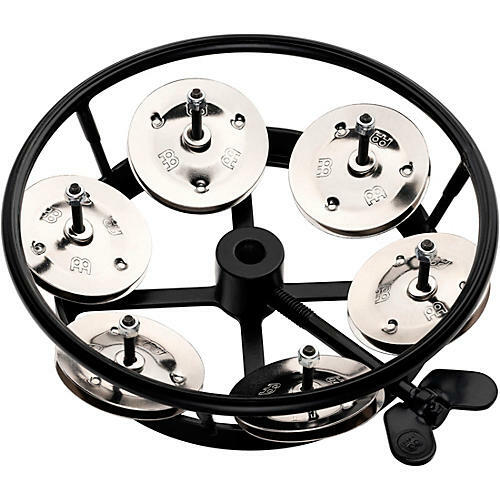 Steel jingles provide a bright, cutting sound. A sturdy rubberized striking ring ensures a clean response and a long life. An easy-access wing nut allows quick set-up, adjustment, or removal, all independent from your cymbals.